Mungunu is also known as Dhawudinygulili, and is the brother of both Djäwa and Lipundja. 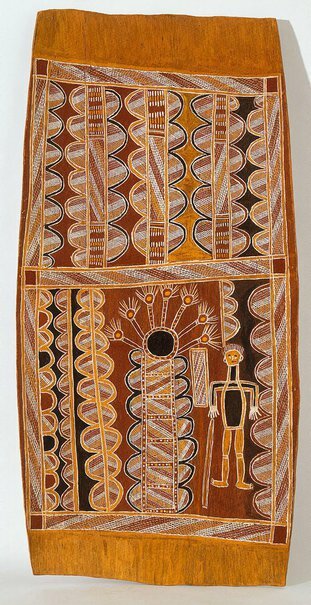 In this work he envisages the mouth of the river where is splits at Howard Island, at a particular location known as Guruwana. This location was also painted by Djimbarrdjimbarrwuy, with the semi-circular forms within the work referring to oysters that are found here. Art from Milingimbi , Sydney, 2016, 118 (colour illus. ), 142.